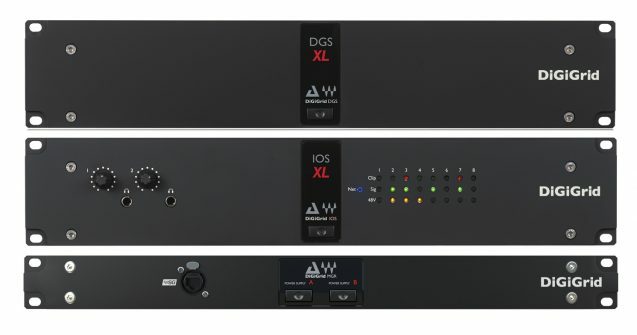 DiGiGrid is the result of an inspired technological collaboration between two audio giants, DiGiCo and Waves Audio, with a common aim to extend studio quality recording and processing to the broader audio industry. The manufacturers first joined forces in 2010, and by 2013, had developed a series of high quality audio interfaces, fusing DiGiCo A/D conversion and mic pres, and simple connectivity to the Waves SoundGrid network and real-time processing platform. This enabled DiGiGrid users to gain easy access to the entire Waves plugin suite; and as SoundGrid is now supported by a growing number of third-party developers, DiGiGrid’s potential and value in the market is expanding. Using a simple Audio-over-Ethernet connection, DiGiGrid is able to offer users in the studio and live fields a unique experience: audio productions require higher track counts than ever before, they need to be expandable, and today, plugins are as crucial out on the road as they are in the studio; live engineers are often required to replicate the exact sound of the record on the big stages, and DiGiGrid’s one-cable AoE solution makes that workflow so much more straightforward. 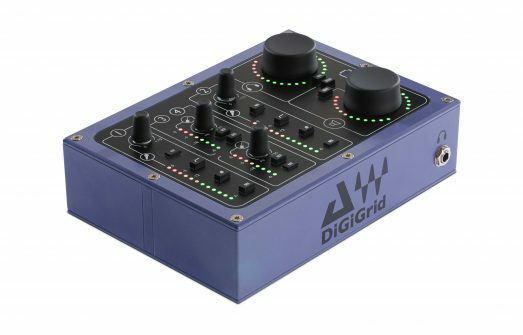 This initial line of DiGiGrid interfaces offered Native DAW, Pro Tools HD, and MADI enabled devices a simple and powerful solution; and in 2017, the Desktop Series arrived: a new range of compact, easy to use studio-based interfaces that would offer budding engineers, producers, and grass roots musicians, the ability to record, monitor, and mix music to a professional level, using just one Ethernet cable for connectivity. Furthermore, that DiGiGrid AoE connectivity means recording across multiple rooms or systems becomes incredibly simple; you can daisy-chain devices using just Ethernet cables, which allows for a simpler, more powerful solution, with ultra low-latency, and ultimate flexibility. DiGiGrid was one of the first to the table in terms of AoE, and part of the company ethos is to continue to build upon that: to educate audio professionals on the benefits of this smart approach to recording, and make their lives a lot easier in the process. DiGiGrid goes XL. New offerings deliver the perfect combination of power and flexibility for users who work in multiple environments. DiGiGrid improves workload for Latin American musicians favourite FOH engineer, Andres Guzman. © 2019 Audiotonix Ltd. All rights reserved.